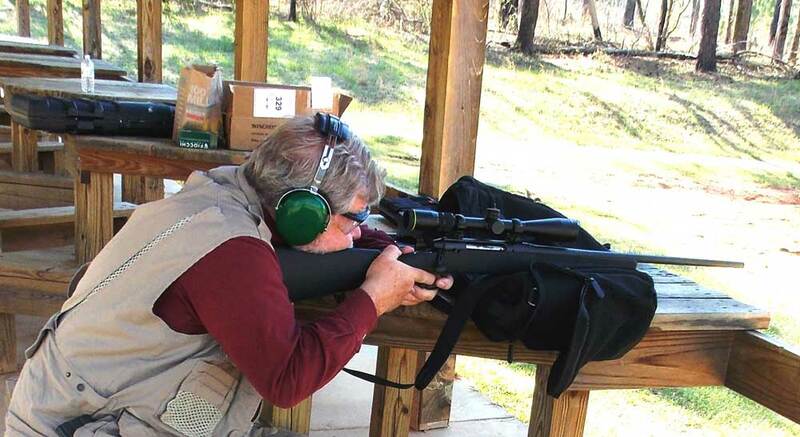 The .30-06 is right up there with the .30-30 when it comes to iconic hunting rifles. Around since 1906, the .30-06 Springfield rifle has managed to maintain its classic, simple looks with up-to-date modern technology to provide the shooter with the best of both worlds. Ruger carries mostly bolt-action rifles in a variety of models including the American, a top ranked gun among seasoned hunters and target shooters. The American Standard is old school in its looks while the Vortex® Crossfire II® Riflescope might offer even more appeal to the high tech shooters in the crowd. The 7.62×63mm or .30-06 Springfield ammo was introduced to the U.S. Army in 1906. The Army decided to adopt .30-06 ammo to stay abreast of the technology in firearms and ammunition. The round became a standard in the military and remained as such until the 1980s. The naming method is somewhat unusual – “.30” refers to its caliber while the “-06” refers to the year it was created. The .30-06 Springfield ammo maintained its place as the U.S. Army’s primary rifle and machine gun ammo for nearly 50 years before it was replaced by the .308 Winchester (7.62×51mm NATO) and the .223 Remington (5.56×45mm NATO). Both cartridges are still in use in U.S. and NATO service. The .30-06 remains popular with hunters and sports shooters and is manufactured by most major brands. In addition to military service, the .30-06 made its mark in the civilian sector becoming highly successful around the world. Currently, the cartridge is touted as being the most used hunting ammo in the U.S. It is powerful enough to take down the largest game animals, but is most widely used for deer hunting. It has also earned a place among competition shooters for its long-range accuracy. There are many ways in which to load a .30-06 cartridge. Common weights range from 100 to 220 grains; styles run from SP to FMJ. 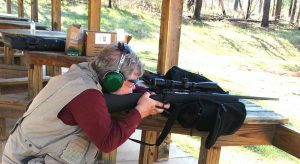 Novice shooters should err on the side of caution and choose a lighter weight to start considering the ammo’s strong recoil. 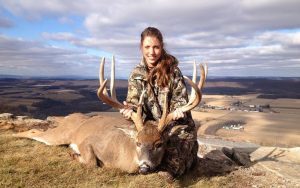 Deer hunters are typically quite opinionated when it comes to choosing hunting ammo. The top choices tend to be the .30-06 Springfield, .300 Weatherby, .308 Winchester, and the .30-30 Winchester. While it’s true that the rounds are the same caliber, they shoot at different speeds. Speed shouldn’t be the biggest concern when taking down the elusive white-tailed deer. Accuracy is the most important aspect of these cartridges since it doesn’t matter one bit how high your muzzle velocity is if you miss the target. Frankly, all of these cartridges would serve you well in the field but the .30-06 Springfield falls perfectly in the middle with the medium, yet strong, recoil. Do a round of tests to find out which works best for you. Federal Premium Vital-Shok tops our list for the best hunting ammo in this category, it’s designed for maximum reliability and performance. These bullets are precision-made to provide best accuracy with every shot. The heavy jacket and polycarbonate tip prevent bullets from deforming when it’s fired and they will remain intact at extreme velocities. Simply put, this is one hard hitting round that will get the job done. Hornady ranks as one of the best manufacturers of hunting ammo and for good reason. This 180 grain, .30-06 Springfield ammunition features Hornady’s polymer tip design, Super Shock Tip (SST) makes the round to shoot flatter and fly straighter. It also features the patented Interlock Ring technology designed to prevent the separation of the core and jacket, ensuring that the ammo retains its mass and energy. Remington’s Core-Lokt ammo is one of the popular lines from this iconic American company. Many people consider it the best .30-06 hunting ammo on the market, particularly if you are hunting medium to large game. The Core-Lokt design features a solid lead core and a tapered copper jacket. The combination works to ensure high weight retention and controlled expansion. The bullet uses a Pointed Soft Point (PSP) with a Spitzer-shaped profile which contributes to improved velocity and a flatter trajectory, ultimately increasing accuracy. Target shooting doesn’t require as much power as taking down an elk, but the precision and accuracy of the cartridge must be top notch to perform. One of the main things to look at when choosing the best ammo for target shooting is cost. The majority of cartridges are reloadable which helps but if you’re shooting paper targets a few extra grains isn’t going to matter overmuch. The option below is accurate and efficient and should fit the bill. Sellier & Bellot has been in the marketplace since 1825, providing high quality ammunition at an affordable price. This cartridge is the best .30-06 for hunting small game or target shooting. The lead core is positioned in the front of the round so that it mushrooms upon impact and delivers lethal consequence. It is also reloadable, increasing its affordability.